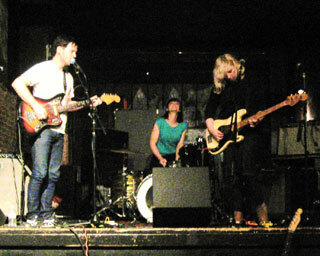 Here’s Love Of Diagrams unfortunately extremely short set from their Los Angeles date on the latest tour. I caught them 3 times the last time they were in the US on their Mosaic tour, so I enjoyed that they stuck to playing new tracks off their latest fantastic Nowhere Forever LP. Thanks for posting this. They’re opening for Partyline tomorrow. I was debating whether or not to get there early enough to see them. Based on this, I think I will. They are certainly high on my list of must see bands. And shamefully I have to say that I still haven’t seen Partyline! Love this band, especially now that they are adding a shoegaze element to their sound. Nowhere Forever is a fantastic record. I often listen to the live version of “Pace or the Patience” that you posted here awhile back, so thanks for sharing more live Love of Diagrams! I’m really digging the new record as well. Took me a while tho. Such a bummer they don’t get more love here in the US.